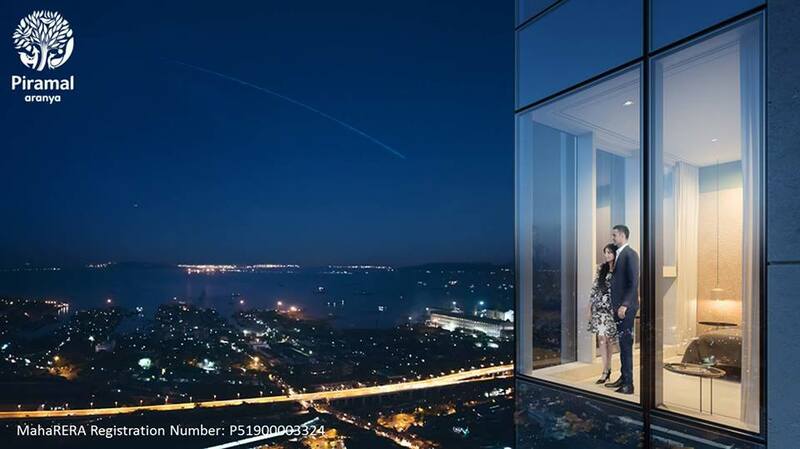 Prelaunch coming up residential project by Piramal Realty Group Located at Byculla Mumbai. About Piramal Aranya -CALL 9958959555 . Launching Luxury 2 & 3 bed Apartments at Piramal Aranya starting AV at 4.62 Cr with Piramal Assurance, Buy Back ! Now Launching select lower floor 2 & 3 Bed Harbor Facing Residences at Aranya . As a special launch offer these 2 & 3 Bed Residence are offered at a unbeatable price. The project Piramal Aranya is another creation of the Piramal group. The structural design of this project is being crafted putting to use the latest technologies and hence is to be an admirable address that offers amusement to all its residents. 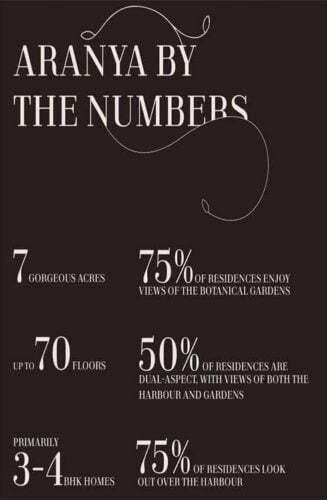 This is the most awaited establishment in South Mumbai that is to consist of seventy stories with an uninterrupted view of the sixty acres botanical garden on the west side and spectacular views of the Mumbai harbor on the east. This establishment is to be an upcoming landmark located in close vicinity of Byculla offering 3 BHK and 4 BHK apartments with a starting price value of 8 Crores. 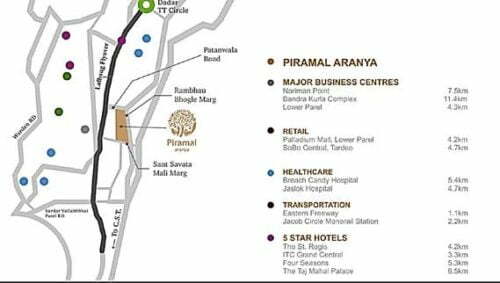 Arising in the suburbs of the Byculla region of Mumbai, Piramal Aranya is a new flanged sub urban pre launch of the Piraml realty group. It is equipped with all the modern facilities for opulent living. After the successful launch of Pirmal Vaikunth, the second phase of the endeavors of the Piramal group is Aranya. Piramal Aranya offers quite an exquisite living experience to its residents apart from also being the best inventory of its kind that is offering two and three BHK apartments spreading over an area of seven acres. It has the most reliable infrastructure along with a serene backdrop that provides a high quality living experience. Piramal interior stands an example of a blend of path breaking innovation, superior execution along with outstanding deigns offering a very blissful visual treat with seventy floors. The structure of the building is planned such that around seventy five percent of the apartments generate views of the diverse botanical garden giving a sense of a refreshing Italian aura. Out of all the apartments, around fifty percent of them are designed keeping dual aspects in mind. So these apartments offer views on both sides, one side of the apartment faces the harbor while the other faces the garden. 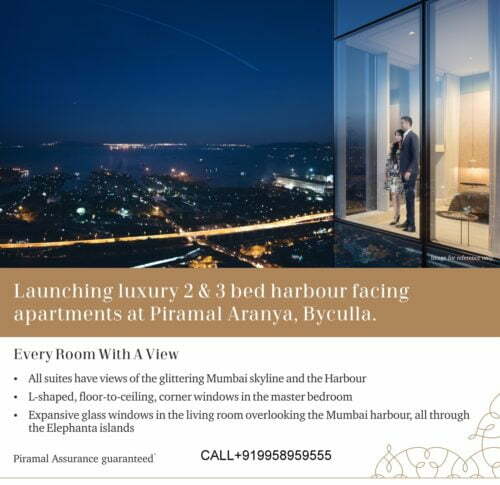 Piramal Aranya Byculla has 3 and 4 BHK apartments. 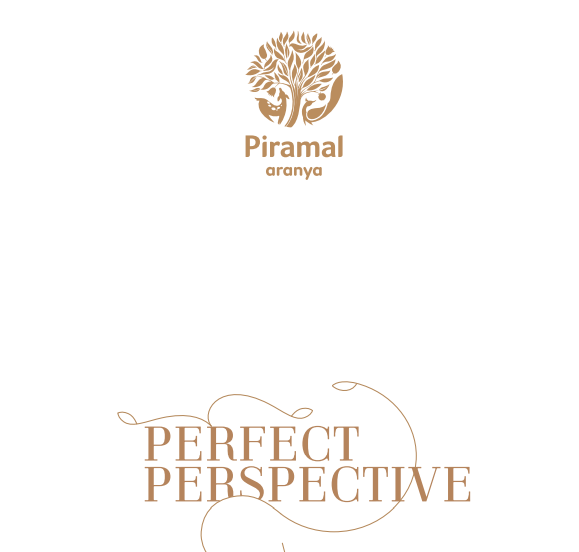 Piramal Aranya pre-launch project – Piramal Group. Ever wonder how it would feel like to wake up every morning to a view of lush green lands stretched till your eyes can see. I know, I would love to live in such a place. If you too would like to wake up to this view, then you don’t have to look any further. 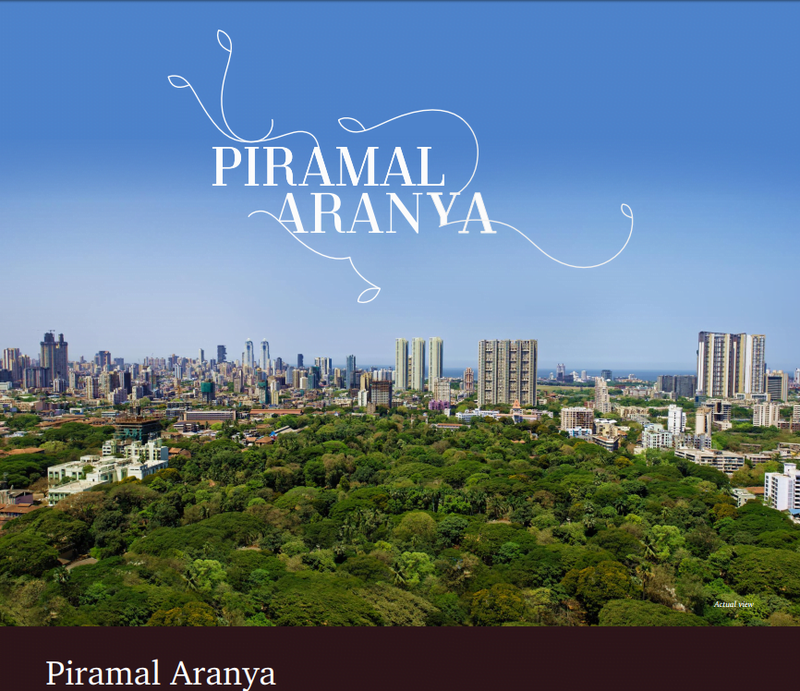 Piramal Aranya have pre launched a 7 acres project in Byculla Mumbai. Situated right at the heart of the city, overlooking Mahalaxmi race course and Harbour view, you sure would not want to miss this opportunity. Being centrally located you would not have to worry about the travel time, whether to work or for some leisure time. You have a choice of 3bhk (1700-1900 sq. 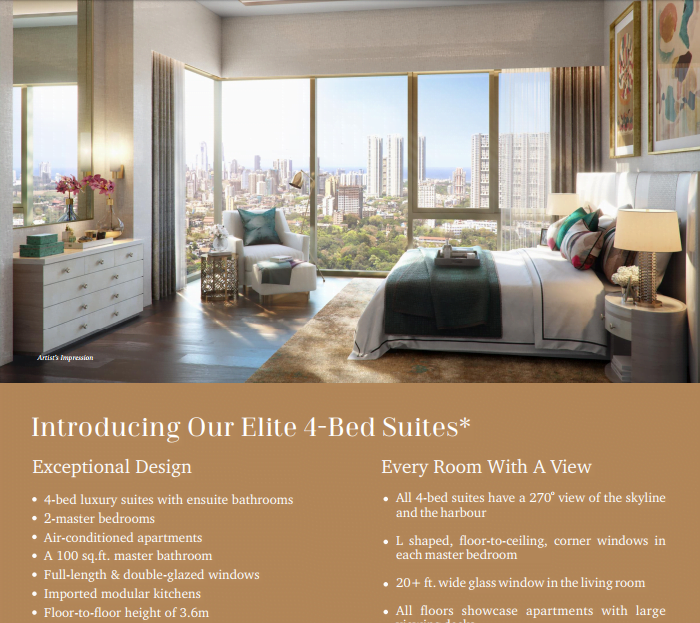 ft.*) and a 4bhk (2500-2600 sq. ft., with a price ) apartment. Currently Piramal realty have the best of the deals to offer for this project. From payment plans to various other assistance. 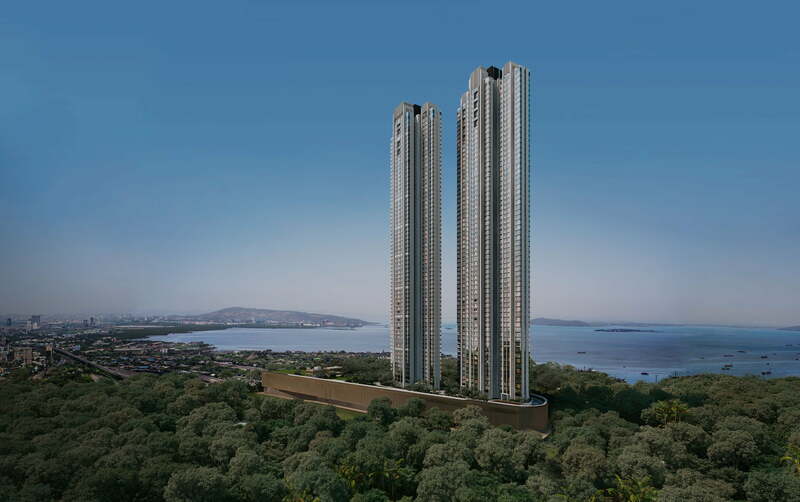 Piramal Realty has said to have invested INR 4300 Cr for this project, also known as their signature project. There have been a lot of good reviews about this project that one just cannot miss. 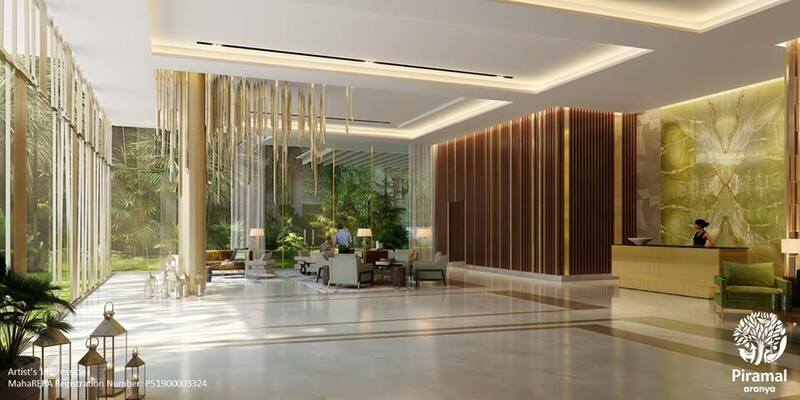 The New Piramal Aranya project promises the utmost luxuries apartments with grander design features which offer natural sunlight and ventilation in each aparment, noise reducing double glazed windows would be installed and said to use natural building materials in their 3 and 4 bhk apartments. You also have a variety of houses to choose from. This project has three towers with 65 floors, each tower starts from the 10th floor. Who would want to miss the view of Mumbai from top floor? Easy connection to sea link and connecting to Nariman Point, Bandra-Kurla Complex (BKC); Mumbai Airport or the Worli Sea-Link. With easy access to South Mumbai via JJ Flyover and the Eastern Freeway which opened connectivity to northern Suburbs and Navi Mumbai making travel easy. One can say that you would belong to a Luxury Home in Gated Community and stay connected to the city. This project comes with en number of amenities. This includes indoor and outdoor amenities. To name a few Gym, Heated swimming pool, Kids pool, Squash court and badminton court, Skating, cycling, Skate boarding, Massage room, Little children’s play area, Library/ Study, Football and cricket practice field, Mini movie theatre, Joggers and cycling track, Game room (Table tennis, carom, etc. ), Indoor Jacuzzi, Senior citizens get together area, Spa with steam room and chilled shower, Rain water harvesting, Bank/ATM, Largish Garden, walkway with lush gardens, separate entry for visitors and staff. Piramal Group has been in this business since 1980, by Ajay Piramal. Originally they started by acquiring Gujarat Glass. Slowly and steadily they extended their wings to health care, education, Women welfare and NGO. Piramal Group is targeting to develop approximately 30 million square feet through land acquisition. Alongside they have multiple projects for construction going on. Very few people would know that Piramal Group was the first group to develop India’s first mall, commonly known as Cross Roads. Their main target being customer centric. Going by latest report Ajay Piramal has a market value of US$4 billion. Other projects by Piramal Realty are: Piramal Vaikunth in Thane, Piramal Aranya in Byculla, Commercial development in Kurla, residential development in Mulund.This property frehs original bookings would not last longtime as its a great investments, so hurry up and get in touch with us. We invite you all to visit the property by contacting Piramal team on the below email address or phone number. For more details on booking call Sales on +91 9958959555. Piramal Aranya is located at , Byculla and developed by Piramal Realty. This Project have 3/4 BHK apartments. 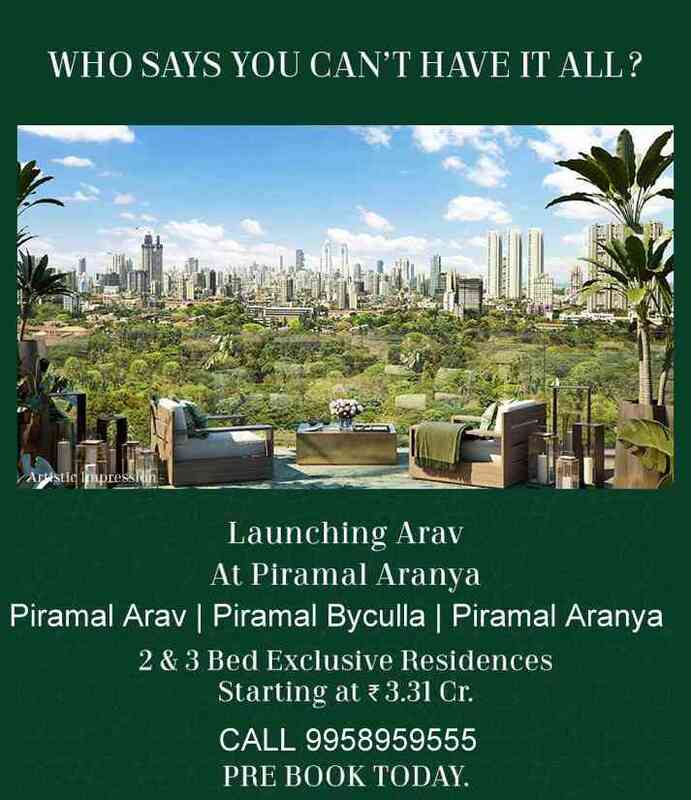 Piramal Aranya Byculla Mumbai is developed by Piramal Realty Group, a respected brand in real estate sector of Mumbai . The Group has developed several housing and commercial projects throughout Mumbai. 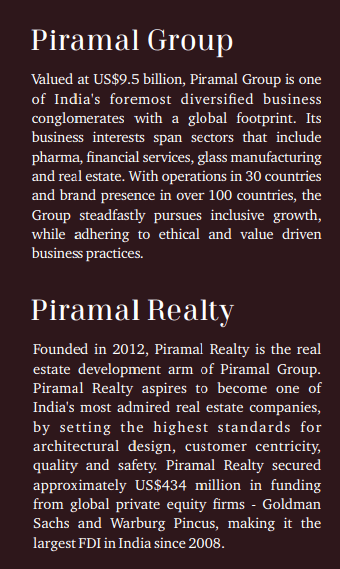 A few of the successful endeavors by Piramal Realty Group include PIRAMAL VAIKUNTH. At Piramal Aranya, you can experience a variety of indoor comforts such as squash courts, gymnasiums, and badminton courts, game rooms for table tennis, carom board and pool. The whole sports court ensures that you have full access to these facilities that provide you with inbuilt entertainment as well as a superior training area. The spa rooms with inbuilt Jacuzzis and pools are paradise and offer extensive ways to make your mind and body relax. After a long day at work, the massage rooms are a heavenly gift that helps relieving tiredness and root out body exhaustion. There are even mini movie theatres and multipurpose halls that let you hold small functions and birthday parties. The library has ample literature or you to dive into and experience a whole new dimension of your real self. Outdoor amenities that offer you a whole set of relaxing possibilities include a heated swimming pool along with a separate pool for kids, lavish garden areas for relaxation and rejuvenation. Playground for football lovers and a cricket pitch well equipped with nets and other sports equipments for the sporting cricket lovers. Worried about your toddlers play activities? Well the Piramal Aranya also has a special unstructured play area for the toddler that is equipped with toddler safety equipments. This way, your child can be safe while you get distracted away into a small chit chat with your neighbors. Special areas have been constructed keeping the elderly in mind, so that they can have a nice time with their other old society friends. The Piramal Aranya also has separate areas for pets and dogs making them enjoy their pet day out to the fullest, that too without any danger to the other residents of the society. Piramal Aranya exemplifies the best standards of living and offers the beast facilities in the region of Byculla. So wait no further and find a home for yourself in this exquisite society that is to offer you a lavish living style.